Welcome to Sierra Veterinary Hospital! It WAS dark and stormy night when little Story was born. Her mom had never had puppies and had not shown any signs of heat for her human parents to prepare. Usually they would have momma dog in a welping box with 24/7 supervision. That night was a cold and stormy night, and as Ed went to put the dogs up for the night he found little Story in the kennel on the cold cement with a large laceration on her side. Sadly, also a stillborn pup was found. While warming the little pup, Ed rushed Story to the emergency clinic where they attempted to try and close the wound, but were hindered by the age and small size of the puppy. We were all amazed by the toughness of this puppy and her will to survive, Two days later she came back into the emergency clinic to have her wound repaired again. The wound was necrotic but staples were applied again to help the wound close, yet these came apart again. This time, after consultation with a reproductive specialist, Dr Phillips anesthetized Story and removed the dead tissue and placed sutures in the wound and put her on antibiotics. Story did very well and went back to mom, with the owners Pat and Ed watching around the clock to keep mom from licking out the sutures. Three days after this surgery little Story developed an abscess under her arm from all the time she had the dead tissue. Saying "Here we go again" Dr. Phillips put Story under again and opened the abscess, draining a huge amount of puss from the area. Again she went home and suckled and grew and acted like nothing happened. Little Story is doing great now with no issues, she is out and about and running and growing as a little puppy should. Her side has healed with minimal scar, her abscess is all gone. 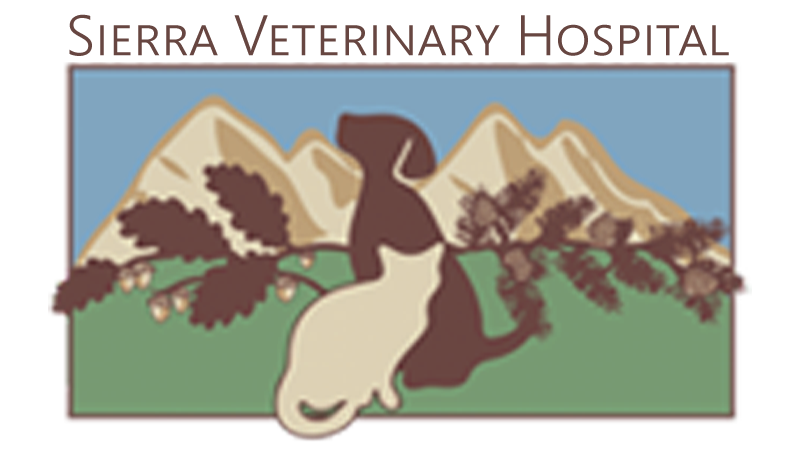 Sierra Veterinary Hospital is located in the foothills of the Sierra Nevada’s between Yosemite and Kings Canyon across from the Auberry post office. We serve the communities of Auberry, Prather, North Fork, Tollhouse, North East Clovis, Oakhurst, Shaver Lake, and Huntington Lake. Doctor Sallie and staff strive to provide the best possible medical, surgical, and dental care. We treat every patient as our own pet and every owner as family. We all work our hardest to give the highest quality medical care with compassion and empathy. Our entire team is committed to you and your pet. Really appreciate the "culture" at your office. Dr. Phillips care and commitment comes through in each of the staff we have had the pleasure to work with. Thank you!